Many have been bemoaning the final loss of the Martian Opportunity Rover, which lost contact last June and was officially declared dead this past week after 15 years roving the Martian landscape. One could say that we lost Opportunity…but it really is a story of what we gained. It was designed for a three month mission with an expectation of traveling about a half mile, yet it lasted 15 years and traveled about 28 miles, sending back enough data to fill research for years. 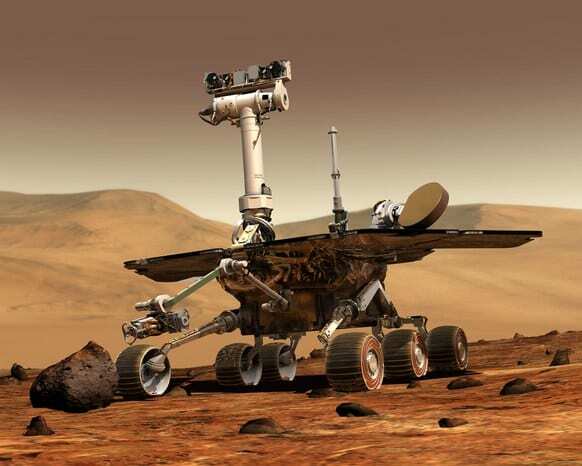 Opportunity landed on Mars in 2004. At that time, I was Director of Online Learning at Gwinnett Technical College in Georgia, enjoying both teaching at the community college level and training a host of online instructors from around the state of Georgia in the pedagogy of online learning, using Blackboard (which in some ways really has not changed in 15 years). In the fifteen years since, I moved to Virginia to join VCU’s Center for Teaching Excellence, where I worked with amazing colleagues as an Online Learning Specialist. I also helped craft and teach two of the electives for Creighton’s Interdisciplinary Doctorate in Leadership, as well as teach at VCU in their School of Education and graduate Preparing Future Faculty program. In 2014, I moved to Northeastern’s Center for Advancing Teaching and Learning through Research, and began teaching in Northeastern’s College of Professional Studies Masters program. 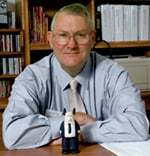 I retired in 2016 and moved back to Virginia, where I continue to teach graduate courses for Creighton, Northeastern, and Merrimack College. But my journey is not the amazing part…the amazing part is how technology evolved over those 15 years. In 2004, I did have a cellphone…but it was not very smart. 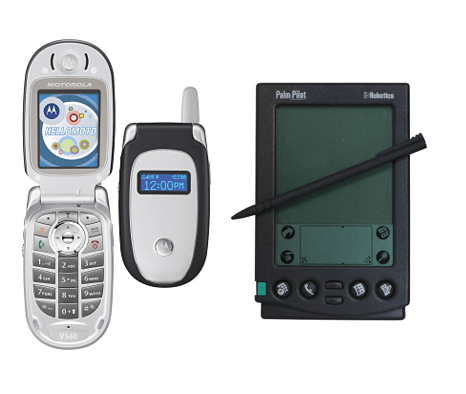 The iPhone would not come out for another 3 years, so I supplemented my phone with a Palm PDA, which I connected to the internet once a day. Wifi was not ubiquitous. I was using a new service via the web in my office for music called iTunes…but streaming was still in the future. Facebook was a small startup on Harvard campus, which I had not yet heard about. There was no Youtube, Twitter, Instagram, Pinterest, or WeChat. Interestingly, the dominant educational software was probably PowerPoint. He goes on to discuss the complexity in which educational technology has evolved. As someone who teaches courses such as EDU-6323: Technology as a Medium for Learning, I can certainly identify with what Stephen notes. I used to think I was digitally savvy…now I feel digitally humbled! In CogDog’s 2019 Company Report, Alan summarized the past 7.5 years as a gig freelancer, noting some amazing projects from the past year, but also noting how his efforts have shifted over the years. Like Stephen, he is doing much less public speaking as an expert. And like Stephen, he continues to blog, enriching those of us who follow them. Doug Belsham suggested that Stephen’s OLDaily be called an “Elderblog”, along with those of Audrey Watters and Martin Weller…and I not only concur, but I would add CogDog‘s to the list. I cannot stand in the shoes of Stephen or Alan, but I do count myself lucky to have been a small part of the edtech landscape for the past 15 years. Along the way, I got to work with amazing colleagues. 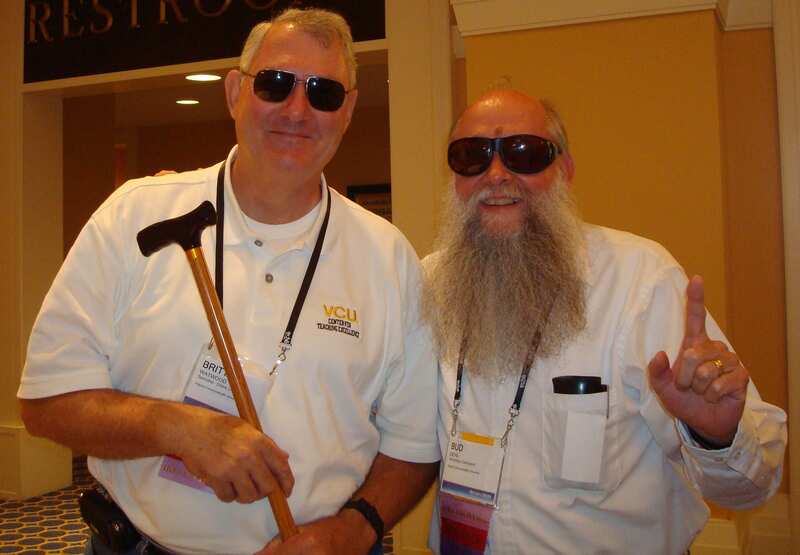 I still love this picture Sheila Chandler took of Bud Deihl and I at Blackboard World 2009. Opportunity may have been lost, but even if none of us have any status in online learning any more, I think that there will be new opportunities on the horizon. Even at the young age of 68, I am looking forward to the next fifteen!